Download Susan Proudleigh ebook. Susan Proudleigh was originally published prior to 1923, and represents a reproduction of an important historical work, maintaining the same format as the original work. While some publishers have opted to apply OCR (optical character recognition) technology to the process, we believe this leads to sub-optimal results (frequent typographical errors, strange characters and confusing formatting) and does not adequately preserve the historical character of the original artifact. We believe this work is culturally important in its original archival form. While we strive to adequately clean and digitally enhance the original work, there are occasionally instances where imperfections such as blurred or missing pages, poor pictures or errant marks may have been introduced due to either the quality of the original work or the scanning process itself. Despite these occasional imperfections, we have brought it back into print as part of our ongoing global book preservation commitment, providing customers with access to the best possible historical reprints. We appreciate your understanding of these occasional imperfections, and sincerely hope you enjoy seeing the book in a format as close as possible to that intended by the original publisher. Herbert George de Lisser CMG (9 December 1878 – 19 May 1944) was a Jamaican journalist and author. He has been called “one of the most conspicuous figures in the history of West Indian literature”. De Lisser was born in Falmouth, Jamaica, to parents who were of Afro-Jewish descent, and attended William Morrison’s Collegiate School in Kingston. He started work at the Institute of Jamaica at the age of 14. Three years later he joined the Jamaica Daily Gleaner, of which his father was editor, as a proofreader, and two years later became a reporter on the Jamaica Times. In 1903, De Lisser became assistant editor of the Gleaner and was editor within the year. He wrote several articles for the paper every day. In 1909 he published a collection of essays, In Cuba and Jamaica, and 1912 saw the publication of his second book, Twentieth Century Jamaica. He went on to produce a novel or non-fiction book every year. 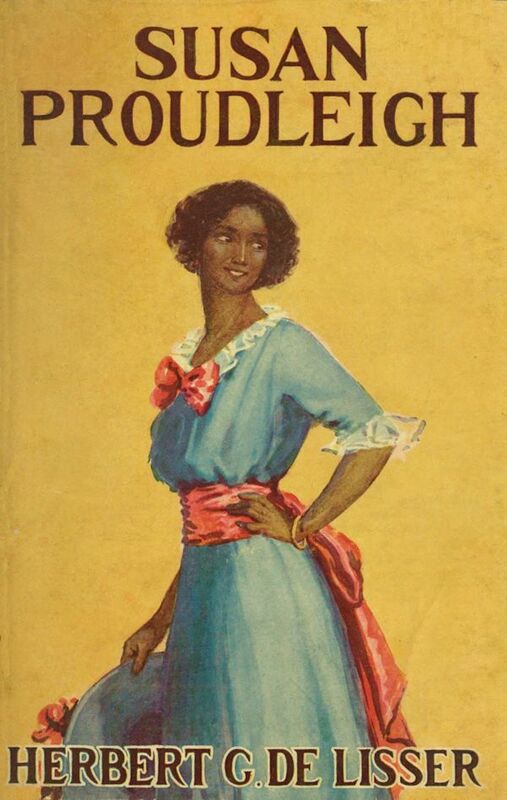 His first work of fiction, Jane: A Story of Jamaica, is significant for being the first West Indian novel to have a central black character. Another famous novel of his, The White Witch of Rosehall (1929), is linked to a legend of a haunting in Jamaica. De Lisser also wrote several plays. In December 1920 he began publishing an annual magazine, Planters’ Punch. De Lisser devoted much time and effort to the revival of the Jamaican sugar industry and represented Jamaica at a number of sugar conferences around the world. He was also general secretary of the Jamaica Imperial Association, honorary president of the Jamaica Press Association, and chairman of the West Indian section of the Empire Press Union.